Microsoft private cloud computing technologies are highly valued by businesses as solutions to organize and manage proprietary and operational information. Obviously, those companies put a premium on finding IT people who can best administer those all-important systems. 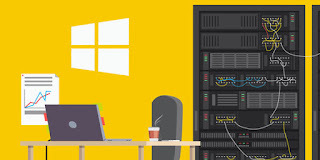 Over this comprehensive bundle, you'll train to pass five essential Microsoft certification exams so you can kickstart a career in system administration and network management.